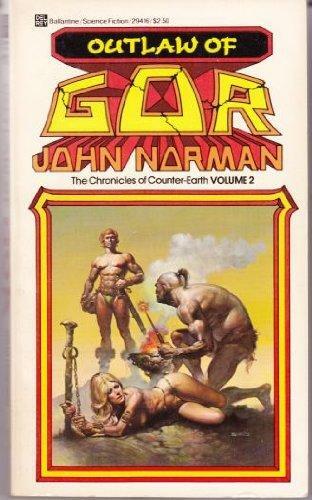 With a kind of … lugubrious inexorability, rough-hewn, thick-thewed hosts J. W. Friedman and C. Collision thrust themselves into the rugged world of John Norman’s Gor, where the tawdry pages of Outlaw of Gor await us and our stern attentions. Also! We would like to announce our next live show! We’re hosting a Bad Book Party at San Francisco’s Green Apple Books on the Park, Saturday, February 11, at 7:30 p.m. It’s totally free, is gonna have a bunch of rad guests (Niko from Sunday School Dropouts, Lauren Parker, Lemon from The F Plus — and that’s just the ones we’re announcing now! ), and is going to be the most fun you can have in the month of February.